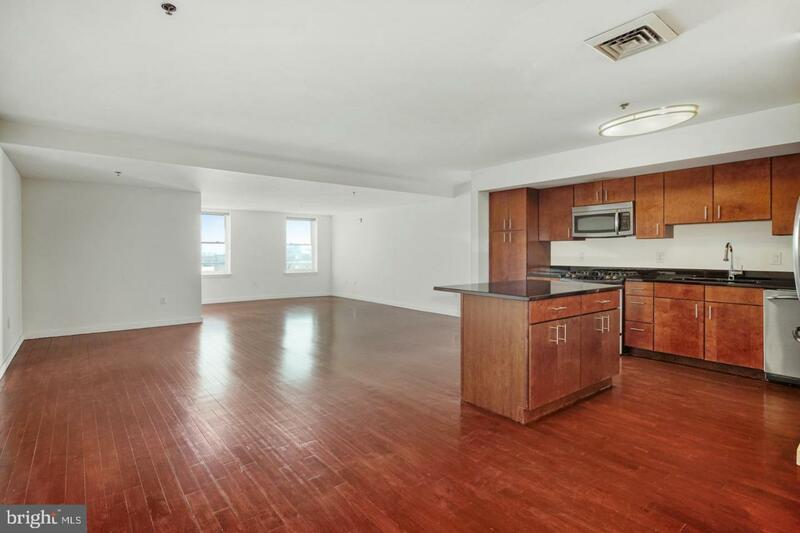 3 bedroom, 3 full bath PENTHOUSE with private balcony, bonus den/office space, and SPACIOUS living. 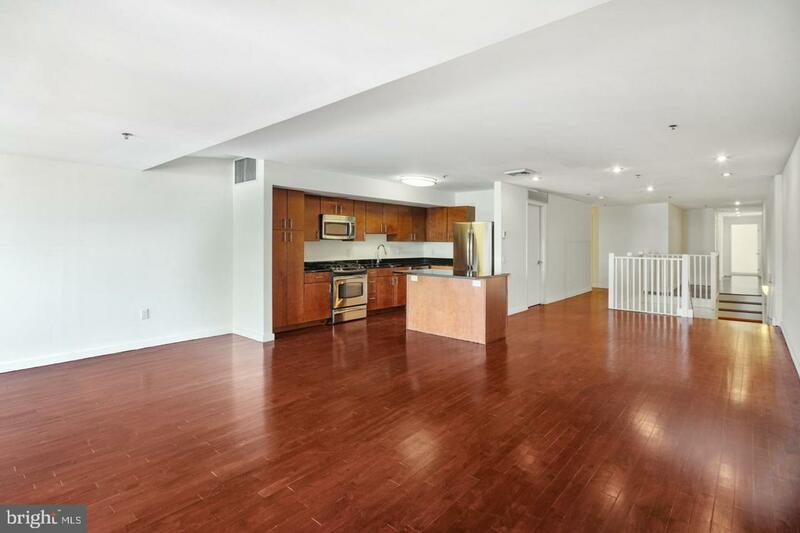 Enter into a townhouse style foyer, a formal entrance within an apartment building, and walk up the open stairs to the second floor of this bi-level unit. A split staircase offers grandeur within an apartment space, giving the type of feeling usually reserved for a larger home within a building with amenities. Living room space is ample and gracious; easily accommodates any large living room set. Separate alcove with skylight and beautiful brick is a perfect office or bonus den space. 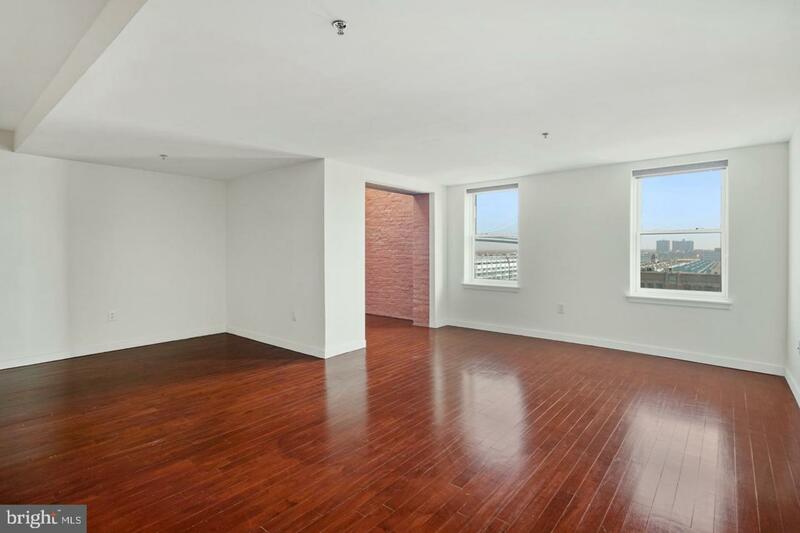 East facing windows fill the space with natural light and provide water and Benjamin Franklin Bridge views for a waterfront living feel. 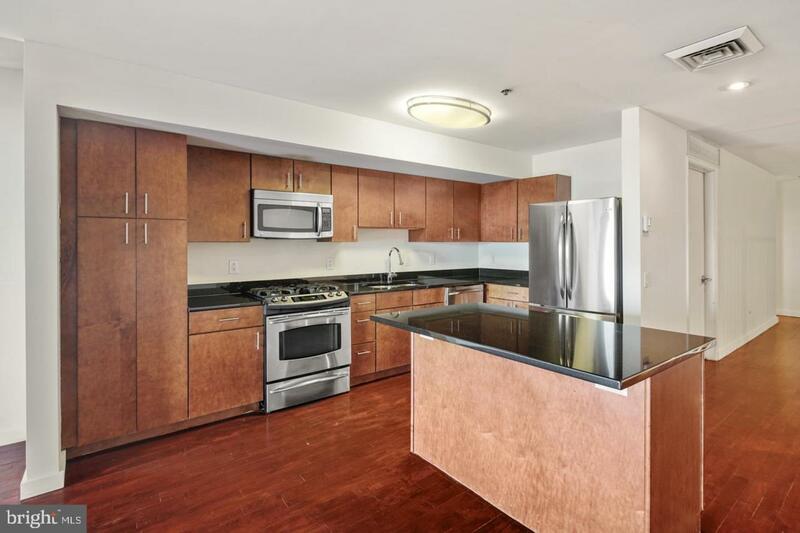 Chef s kitchen with island with breakfast bar, all stainless steel appliances including dishwasher, and GAS cooking. No shortage of counter or cabinet space here. Separate storage and laundry room within your unit. All three bedrooms are well proportioned with good closet space. The master suite features balcony access, an en suite bath, tons of closet space. Penthouse living at its finest. The Mercantile building is located just steps from all that Old City has to offer, but is set on a quiet courtyard off of charming cobblestone Church Street. Enjoy access to a 24 hour fitness center available exclusively to residents. Rent includes cold water as well as cooking gas, tenants are responsible for electric based on usage. Unit also includes a large separate storage unit in the basement for even more space.